THE NATURAL HAVEN: Clear Castor Oil or Black Castor Oil - What is the Difference? I know many of you are fans of castor oil and a common question that you ask me is if there is a difference between the clear store bought castor oil and black castor oil/ Jamaican black castor oil (JBCO). I finally have an answer for you! Natural castor oil is actually pale yellow when cold pressed. Cold pressing means there is no heat involved, castor beans are just squeezed at high pressure to extract oil out of the seed. The advantage of cold pressing is that you do not degrade any of the oil using heat. The clear castor oil that you find in some shops is a result of filtering this natural yellow crude castor oil to further lower the iodine content which makes it yellow (Sains Malaysiana,pp 379-382, 2008). The higher the purity of the castor oil the lighter the colour it will be. Do note that cold pressing is not the only technique used to extract oil though, industrially some chemical solvents can be used, and the advantage of that is that it is less time consuming. The disadavantage is that with more people looking for more natural products, the idea that a chemical was used to produce the oil is not that attractive. I referred to the ash as an impurity because it is an addition to the oil rather than just the pure oil. Does this mean that JBCO is not good? No, it just means that it is not pure castor oil. Is the addition of ash beneficial? This is not known scientifically, it is definitely what the manufacturers claim. So there you have it, the reason why JBCO is black! Oh and I found this video of cold pressing castor beans to make castor oil! The difference for me is in the viscosity - JBCO is thinner in consistency and actually makes application to my hair much easier. With the clear types (sometimes referred to as Indian?) I find that the oil is way stickier and trying to use this on my hair can actually result in more damage - the gumminess makes it more prone to breaking when I handle it or smooth it back etc.. Both seem to have a similar moisturising effect on my hair though - castor oil is one of my few staples! This was great to know! Back oil it is! In the normal castor oil I started mixing equal part castor and equal part jojoba. It is wonderful for the hair, and is easy to apply. Awesome! Thank you for clarifying this for me. My parents are from Haiti and growing up I've been familiar with the black castor. I am Haitian too... and I am going back to my stinky black castor oil. I forgot about it for a while. I remember how good it was on my hair. Aha! I was right to just buy cold pressed hexane free (and cheaper priced) castor oil! Wow I'm sure a lot of "naturals" won't like hearing that JBCO isn't pure. I really like CO, I use it weekly in my deep conditioner and as a sealer. I think my hair is thriving due to the use of castor oil. It might not be pure oil, but it is 'natural'! Ang, what is your deep conditioning/weekly hair routine? I'd like to incorporate castor oil but I'm not sure when would be best. Thanks so much! Maybe this is why I like the yellow castor oil (I use the NOW brand) versus the JBCO. Huh! Very interesting, thank you for this! What type of results using the NOW castor oil have you noticed with your hair? This is very interesting. In Zambia, our traditional method of making castor oil is also by roasting and it is black. I have wondered for some time whether or not there was any point in importing JBCO as opposed to getting some from the village. But then, I was not convinced that there was any difference between the black and the clear. Thanks for a great article. Wow, thanks for sharing. This is really educative. I did not like JBCO. Cold pressed castor oil makes my hair soft and leaves no smell. JBCO has a smell and did nothing for my hair. I don't understand the hype. No scientist here, but one of my favorite skin care products is African black soap. I use the type that comes in a tub, is super dark brown or black and you pinch or scoop a little bit out with your fingers. It is a solid but it is soft. I don't use the liquid soaps. Anyway, I bring this up because one of the things I think is said to be good about the black soap is the ash. Doesn't ash contain sulfur? I read in some countries where there is not plentiful water, they wash themselves with ash... Is this true? I could just be talking crazy, but I'm pretty sure I've heard that somewhere and that that attests to why African black soap is so good for and deep cleanses your skin. So, maybe this is akin to the JBCO roasting theory, although, I would think, if you want the least breakdown in the original product as possible, cold pressing it would seem like the way to go because there is no heat involved. I too love African black soap, but I certainly wouldn't leave it on my skin or hair. I can thus understand why some people find the JBCO to be an irritant. I use cold-pressed, hexane-free castor oil (Now Solutions Castor Oil or Heritage Products Castor Oil) for my tightly coiled, Afro-textured hair. I tried JBCO but didn't like the price or smell. It's good to know it's LESS pure than the clear/slightly yellow castor oil. And this is why I love this blog. Clear, well thought out and presented information. Thank you. Ah, I learn something new every day. I also believed, like many others, that the black version meant it was purer. Thanks for the clarification. Great post. I love this article, its full of facts and its good to the cold pressing process in the video! Hello, I'm a new reader of your blog. I've been reading about different oils that help seal in moisture from some of your posts but I'm just wondering, does oil really help seal in moisture to hair? What proof is out there to support this? 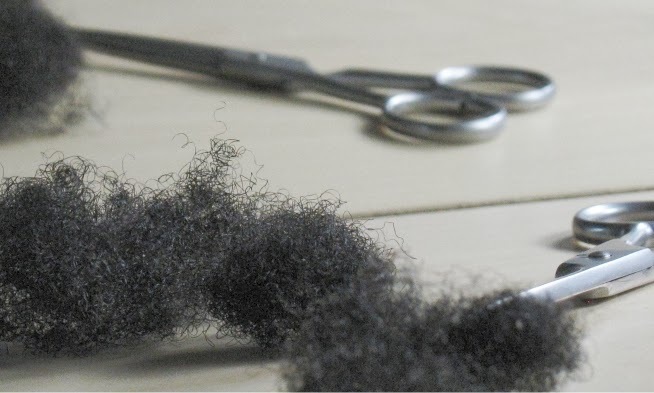 I have dry brittle hair and have been natural all my life. So far I've tried coconut oil, shea butter, glycerin and a bunch of other oils as a hair moisturizing regimen for about a month but nothing changed. My hair was still dry and just as brittle a month later. Welcome! You should zip over to 'The Academy' tab above, there are so many links to what you are looking for. I also have dry brittle hair but it has not stopped it from gaining length. I cannot really say it all in a comment, so I will do a post in the next few weeks on the topic. Good article, however I use what works not what is "purer" if there is such a thing? Unless you grow everything yourself "pure" is a myth that I stopped chasing a LONG time ago where products are concerned. I am an awakened consumer that chooses products based on ingredients n depending what I am trying to achieve. I think your issue is that yellow castor oil is purer than black which is what you prefer and since you don't want to change you have become defensive because the truth has now been exposed to you. Even growing it yourself really means nothing if your land isn't certified organic by a credible organization. I do not believe the person that wrote this blog was trying to say that one was better than the other only that one is less pure. It is understood that heating up oils etc causes some products to lose health benefits. I do believe this is what the article was trying to point out. Now since I know the difference I will no longer be purchasing black castor oil. And in my opinion yellow is better since its purer. The Ash is not an addition to the oil but a by product of the process of extraction. JBCO is just not as refined as clear castor oil. The process of extraction is manual, unlike the extraction process for other castor oils which is mechanical. The extracted oil is not black but golden brown. The black in the name is a misnomer use to differentiate it from clear castor oil. From what I can understand from the paper you reference this is showing the chemical processing of castor oil for biofuel. The video aslo shows mechanical processing. This is not how traditional Castor Oil from the Caribbean is made. The ash contains manganese, silica and magnesium which are supposed to be beneficial for hair and skin. I do agree that leaving this thick oil on the scalp can cause irritation. This oil should be used sparingly and on a clean scalp. Microbes on the scalp love dirt and oil. Sunny Isle process their beans for longer than other manufacturers of JBCO, making more ash content so using the advertising campaign of one American company as a reference to how the oil is made is not representative of all traditional JBCO. Unfortunately there is no scientific research online to help with any of these manufacturers claims. Also BTW Slave brought the castor bean and the methods to extract them from Africa so there will be similarities in extraction. I do believe that the idea of burning the seeds and adding ash to the castor oil is indeed a traditional process. I agree that the ash may also result from pressing roasted beans - the burnt kernels are likely to fragment and end up as ash in the oil. Without any research (by this I mean scientific experiments published in a journal), it is not possible for me to say that any of the additional ash is beneficial to hair or skin. I do think we all know that JBCO is more dark than black but we use the term black because it is in the title - Jamaican Black Castor Oil. I hope you all know that adding the ash of the actual product does not make the castor oil impure. Adding any ingredient that is not a product or biproduct would make it impure. That's like suggesting the ash of human is not human. Please do not get caught up on the semantics here. There are benefits in ash. Ash is in black soap, it's the very thing that makes the soap far more beneficial for your skin than using "pure" shea butter soap. There is ash in animal food, clay masks, and other facial products. Ash contains and maintains the minerals of the item burned. That is however scientifically proven. Now whether the ash is worth the extra in cash is a personal preference. Black Castor oil is a pure product that includes the ash of beans used to extract the oil! As a natural hair care stylist, naturally I have clients who have put the JBCO/Organic cold-pressed pure Castor oil to the test and showed me the result of how it made their hair line grow back in, and their hair does appears thicker which is their desired outcome anyway. No arguments from me. So I came to the conclusion that, because of the oil's thick texture (stick-to-itiveness, ability to stick to strands), level of moisture it adds to the hair, skin and scalp, and the addition of applying scalp massages, (whew) this combination is great! All I know is that JBCO certainly made my hair thicker which was not a desired result but not unwelcome and helped the damaged area grow in. Ash is not "added" it is produced from the burning of the beans. People, just use the product that works for you. I've added it to conditioners for deep conditioning. I also have some in an applicator tip bottle and apply it to my scalp.You can even seal with it. It is quite interesting how easily we get taken into the hype and never used existing facts to draw logical conclusion. The process of extracting the oil from castor beans is older than America and the present day experts who continue to discredit the work of the original Africans and other indigenous people's. Since castor oil is now produced and process in Europe and America, the original process is no longer acceptable, and credit must now be given to cold-pressed/chemical extraction--like everything else so re-designed to make billionaires of the greedy--and rob the known people of their knowledge and take credit for every good thing on the planet. Don't you see, if they can discredit JBCO, then that is just one other ploy to keep the poor poorer, and the rich richer. Some of the negative comments in your blogs seem harmless, after all we are only talking about castor oil. The average user or hair dresser is not thinking abut the impact on the economy of a country, no matter how simple that impact may be--a penny saved, is a penny gained. If JBCO was not impurl in 1352 or 1684, why would it be impure in 2014? Get with the times and all the negative political undertones that continue to devalue other people decent contribution to the continued existence of our planet to include properly informed people. I am sure that there is research out there that can attest to the benefits of JBCO but since it gives credit to another people, then we may not know, except our own scientist conduct their research and make the info available to us. They may not have seen the need to do this. But now is a good time to engage in this study. Anon, I think you need to read the article again. We are discussing facts here. 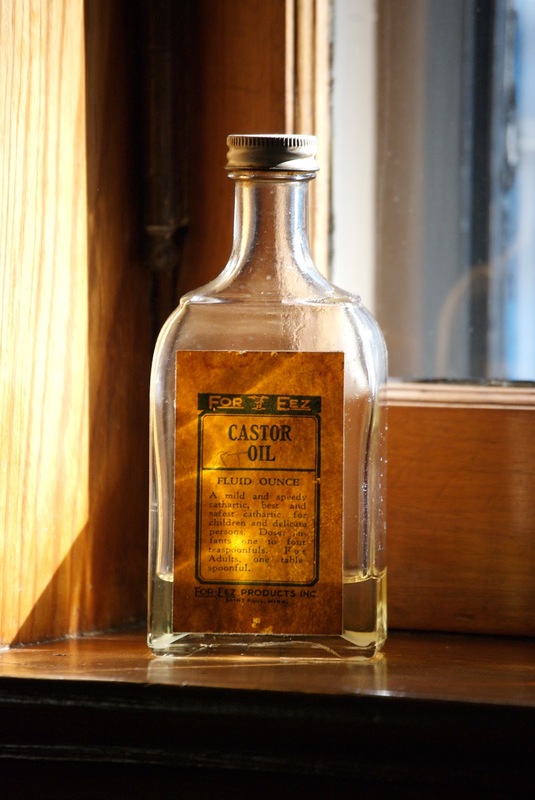 If you purchase a product labelled as pure castor oil, your expectation should be that you are getting a pure oil. If you purchase JBCO then your expectation should be that you get pure castor oil with ash of the castor bean added. You have taken exception to the word 'impurity' which I used in a scientific sense i.e pure castor oil has nothing except castor oil which black castor oil is not. This article in no way discredits the traditional process, it only explains the difference between clear castor oil and jbco. I have also clearly stated that there are no scientific reports on whether one is more beneficial than the other. If there is no science then how is it possible that science is bashing one over the other? Because of the consistency of caster oil I have read recommendations to use another oil to mix the caster oil with: cocnut oil, olive oil, grape seed to. Get a more pliable product.